The Motorola RAZR, the name for the international version of Verizon’s Droid RAZR, just got better battery life, camera improvements and new smart actions via an update available in a number of European countries including the UK, Italy, France and Spain. The update is still for Android Gingerbread, so you don’t yet get the full hardware acceleration and other benefits of ICS, but the battery life in particular is very useful, so you should check your settings to see whether it’s available in your region. The new Smart Actions include Auto Text and VIP Caller Mode. > Tap on ‘Download’ and that’s it! Hogwash, I don't have any of the aforementioned issues with my RAZR™…! Too bad they can't fix the pentile screen with a software update. Why would they "fix" that, I love it! Too bad we can't fix stupid otherwise your comments would potentially be worthwhile. 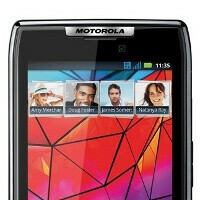 Thats because this is the GSM Motorola Razr, not the CDMA Motorola DROID Razr, upon which the Razr Maxx is based. Hey! I just wanted to know if this razr xt910 has 4g enable... Been confused if I should buy this one or the SG S2. Can someone help please?